Despite well documented problems, Airbus Helicopters claims Australia’s MRH90 rotorcraft programme is beginning to emerge from its troubled beginnings and is showing increasing signs of maturity. With the final aircraft from a 47-strong order on the production line of regional subsidiary Airbus Helicopters Asia Pacific (AHAP), ahead of delivery in mid-2017, the manufacturer says the platform is now "performing very well". 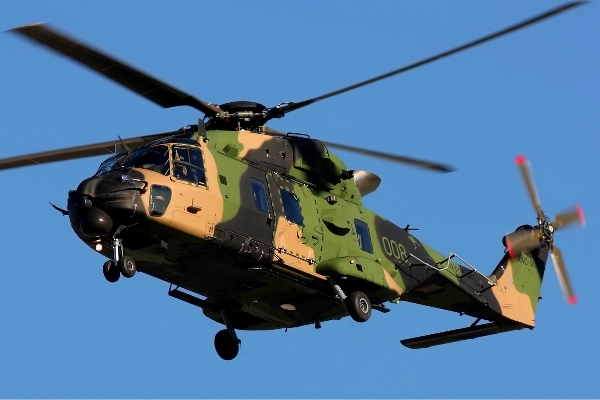 However, the MRH90 Taipan - Canberra's designation for the NH Industries NH90 in which Airbus Helicopters is the largest shareholder - continues to face challenges. It still lacks a number of promised features such as weapon systems and fast-roping and rappelling capability. Maritime deployment is subject to operating limitations thanks to a blade-slap issue when starting or stopping the rotors in certain wind conditions. “I’m very pleased with the recent improvements in availability of the MRH90 after a difficult initial introduction," says Tony Fraser, chief executive of AHAP. Canberra remains committed to the rotorcraft and has allocated A$750 million-1 billion ($551-734 million) over the 2019-2026 period to fund improvements under its capability assurance programme. At present, the MRH90 is operated solely by the Australian army's conventional forces, although it will eventually be adopted by special forces units to replace a fleet of Sikorsky S-70As. However, it is "holding off" from this move while AHAP "matures the platform", says Fraser. He anticipates that the service's 6 Aviation Regiment will introduce the Taipan in 2019 once a number of modifications have been performed, including the addition of a larger rear window for a weapons system, and fast roping and rappelling capability. The blade-slap issue came to light in mid-2015 after damage was discovered to the rotor heads of two MRH90s following deployment on Royal Australian Navy vessels. Fraser says the problem is being managed "procedurally" - regulating the speed at which the rotors are spun-up - while a longer-term change to the design of the rotor head is implemented. Overall flying rates continue to rise, adds Fraser, with the fleet likely to achieve a target of 6,800h in 2016. Airbus Helicopters is the largest shareholder in the NH Industries consortium, followed by AgustaWestland and Fokker.